Untitled by James Dempsey c 2014. 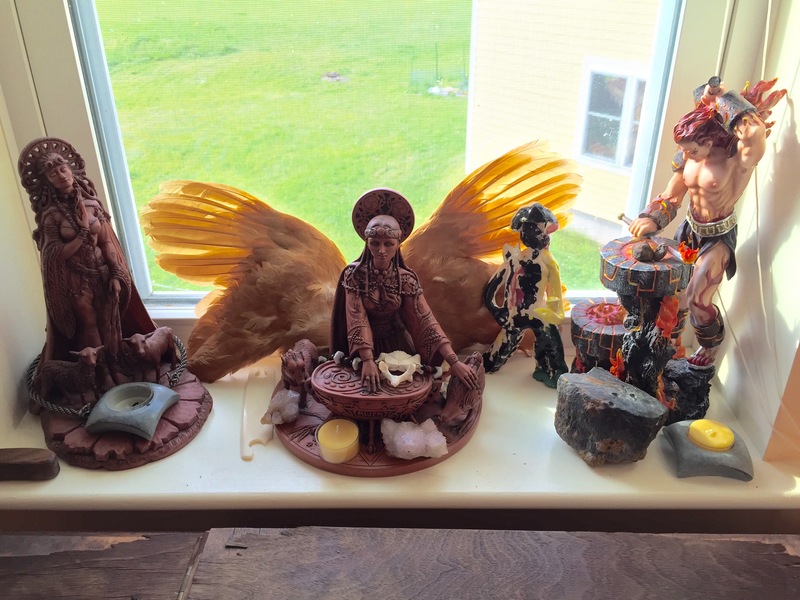 This past Monday, those of us who were fortunate enough to have Martin Luther King Day off gathered at Sarah Fuhro’s house to have a discussion about and meditation on the faerie realm (or realms, depending on your perceptions of such things). Sadly I arrived late, and so missed the beginning of the hearthside, but it was great to spend time in these folks’ company nonetheless. 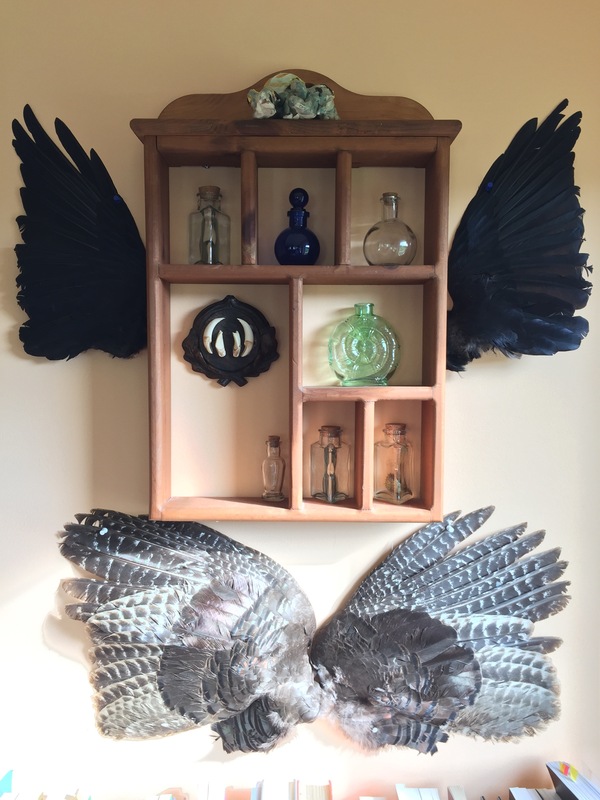 Walking into Sarah’s east-facing dining room, I was greeted by the sight of my grovies meditating in the sun, like a troop of ring-tailed lemurs. Even just catching the tail (ha!) end of the journey was nice, and I used the time to confer with my own guides as the others in the room made their way back. 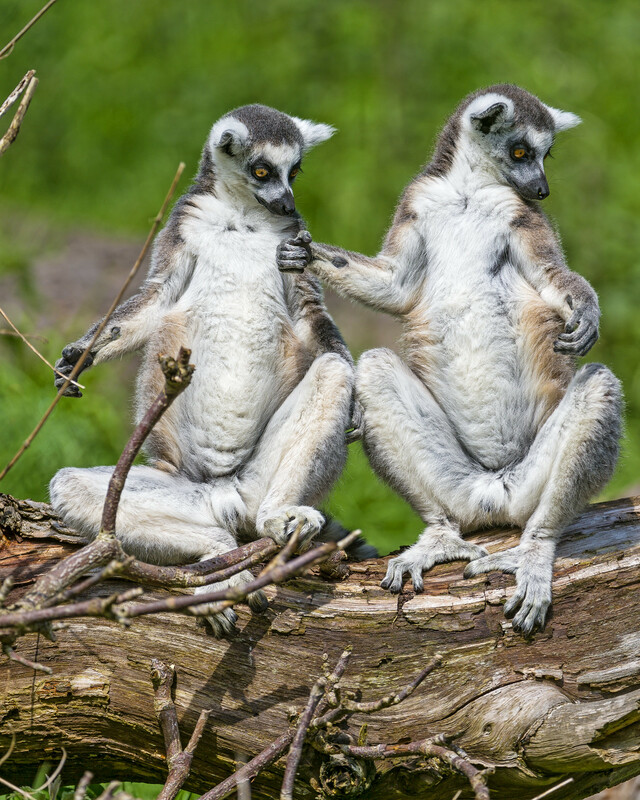 Lemurs meditate, just like Druids! Discussion focused largely on those beings classified as devas or plant spirits for the most part, with Jdth recounting quite a bit of her Findhorn experiences. After settling down to a fantastic lunch of lentil soup, root soup, and assorted sweets, James had a lovely treat for us all: painting he’d made since his muse returned that reminded him of the fae. I absolutely love the one I chose. 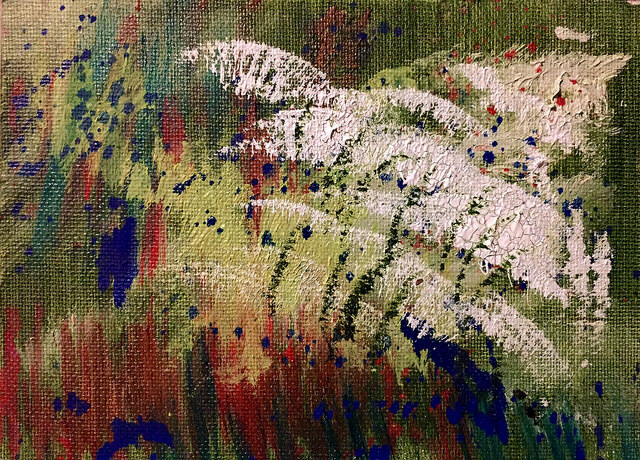 It reminds me of the ferns that grace my grove in the deepest heat of summer. Inspired work, indeed! As each of us talked about our own encounters, the only fair thing to say is that there seem to be as many discarnate critters as there are incarnate plants and animals living on this world. Seeing where they intersect our lives never ceases to fascinate, not to mention all the various cultural filters placed upon our interactions with these beings, whether we call them fairies, elves, devas, wights, or ancestors. And of course there is infinite overlapping, mixing, and outright trampling of any and all of these classifications. One of the more interesting part of our discussion revolved around a transcript of R.J. Stewart’s experience in a mound tomb. Essentially Stewart believed that when the time came, a tribal leader would go into the tomb to become part of the earth itself, the Stone King, and continue advise his people from the mound long after his body died. That leader in essence became a local god. This is where the lines get delightfully blurry–what is a fairy vs, a land spirit vs. an ancestor vs. a god? It’s similar to the discovery that humans and neanderthals were closely related enough to interbreed, and that some modern humans do in fact carry neanderthal DNA. The takeaway: the lines between various sorts of fae are not as cut and dried as the magickal encyclopedias would have you believe.